Michael Booth has previously joked when accepting the Favorite Tenor award at the Singing News Fan Awards that you should have to at least sing high enough to be the lead vocalist for Brian Free and Assurance to win the Tenor award. While the joke gets a good laugh, Michael is not too far from the truth. 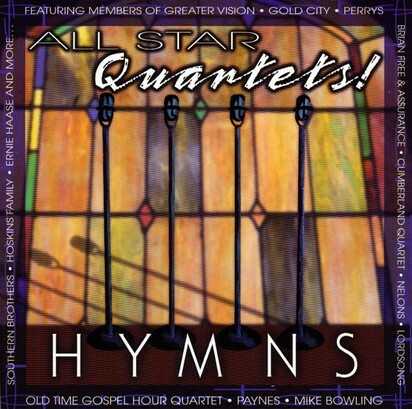 Let’s go back a few years to the All Star Quartets: Hymns album released by Daywind circa 2002. “His Eye Is On The Sparrow” is the final song on the disc, and features a vocal lineup of Dan Clark (Nelons), bass; Craig Singletary (BFA), baritone; Scott Mills (Southern Brothers), lead; and Bill Shivers (BFA), tenor. Yes, you read that right. The song has a bit of a mellow soul feel. Craig Singletary starts off the song with the first half of the first verse as a solo. The last half is done by Scott Mills, who has a bit more of a soulful touch than what Singletary does that gives the verse a some variety. The quartet sings the chorus with Mills carrying the melody and a nice smooth blend. Singletary takes the first part of the second verse again. Shivers then takes last half of the second verse and absolutely kills it. His range on the last “he watches me” of the verse is absolutely breathtaking. The quartet comes back in to repeat the chorus with Mills taking the melody again. The song tags with a nice power block ending. Some of these combinations on the All Star Quartets albums worked better than others. Chalk this one up to one that worked extremely well. It’s also a nice showcase of Bill Shivers’ range and a good example of why he is one of the best singers in SG today. He’s a fantastic lead, but could also make a great tenor as well! Pull this disc out and give it a listen again, you’ll be glad you did! I don’t know for sure that I’d call this a “Hidden Gem” but it’s a song that I remember fondly from my childhood. It’s a gimmicky song in the vein of “Excuses”, but it’s a catchy little tune about going to a barbecue hosted by the devil and finding out that you’re the one that’s getting grilled. The last verse talks about another party that’s not as popular, but you won’t get burned. It’s pure cheese, but I was probably 8 years old or so when I heard it, I loved it, and I still remember it. The biggest reason I’m posting this is to ask: does anyone else know/remember this group? It was a trio that consisted of Phil Gore and identical twin brothers, Jim and John Lancaster. The very few results I’ve found on Google on them is that they were formed at Judson College, a Baptist college in Illinois. They came to my church in WV when I was a kid and sang for a revival, so they were there several nights. These guys had a really smooth sound. Probably a more worthy hidden gem would have been their version of “Surely The Presence”, but that just might make it to a Definitives post. It’s that good. Do any of you readers know where these guys are now? This song was recommended to me by Dean Adkins (thanks Dean!) and for good reason. 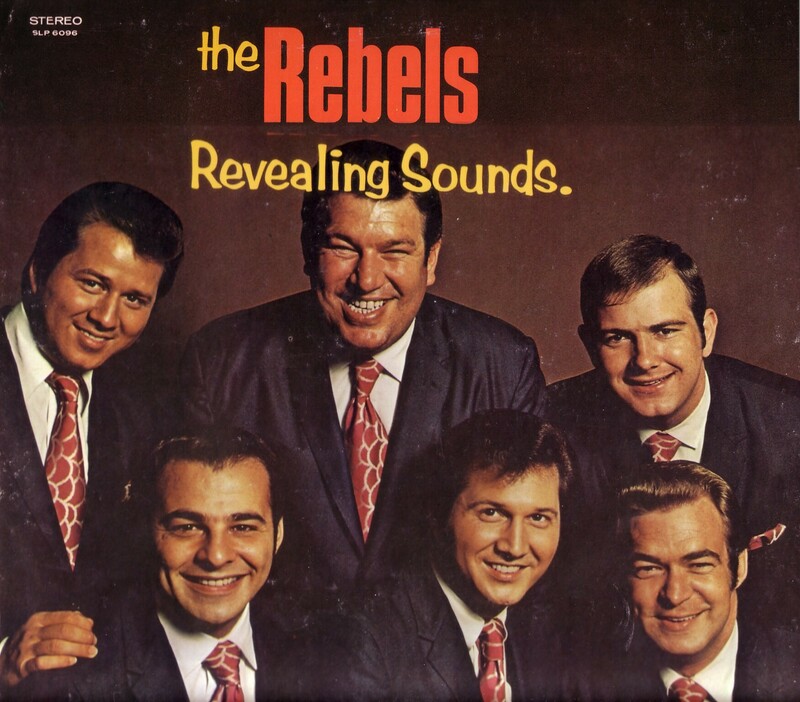 It appears on the Rebels’ Revealing Sounds LP from 1970. Personnel on this recording are Charles Booth, Ron Booth, Sr., Jim Hamill, and John Gresham. It’s a ballad that starts with a simple acoustic guitar intro with smooth group vocals on the first verse continuing with simply the guitar as accompaniment. After the verse, the key changes with a piano being added. The second verse is done as a tenor solo. The chorus features some gorgeous singing from the quartet that builds up to a big tag. It’s really a marvelous cut that shows you don’t have to have a huge, orchestrated track to have a powerful sound to a ballad. Piano and guitar are the only instruments present here, and they are played lightly in a way that pushes the focus of the song on the lyrics and vocals. If you happen to have this LP, pull it out and spin this song again! Several years ago now, Daywind produced a couple of projects that featured “All-Star Quartets.” The first project was of current material, some at least which had been recorded recently by mainline groups. The second project was a collection of hymns. The story was that they would grab someone at NQC and send them into a makeshift studio to record a part on the song. 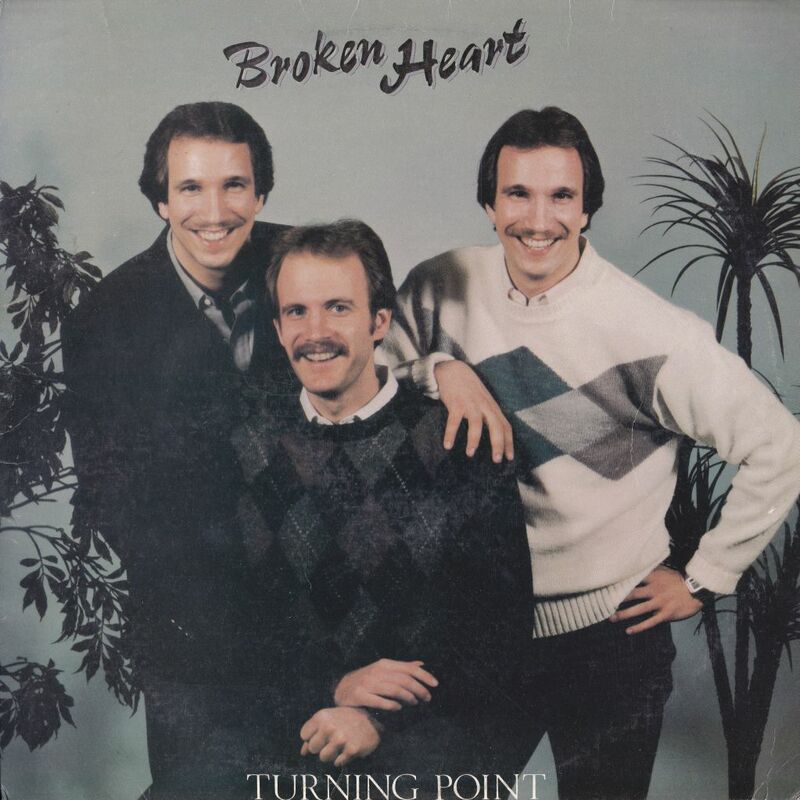 You wound up with pairings like Ernie Haase, Daniel Riley, Jason Clark, and Christian Davis recording a quartet song together (this was a real pairing, on the song “Love Answered”). This particular song features Depp Britt on tenor, Loren Harris on lead, Scott Mills (of the Southern Brothers) on baritone, and Dan Clark on bass. This tune was a flowing, mid-tempo song with a bit of a Latin feel. The three top parts each take solo lines on the verses, with the full quartet sound on the chorus. Loren Harris knocked the lead part on this out of the park, and the chorus features some of the smoothest singing and interesting chord progressions on the disc. It’s a great lyric that pays tribute to the “unsung heroes” in our lives. If you’ve got this CD, it’s the very last song on the disc, so spin it up, because they really did save the best for last. It’s a very nice cut that just leaves you feeling good.